The quadrennial World Congress of Mountain and Wilderness Medicine is near to come. This year, WMS are proud to bring you this event from the breathtaking town of Telluride, Colorado. There are about 50 spots left for this conference, so don’t miss out on some of the world’s foremost wilderness medicine experts covering a wide variety of topics. This conference is designed to appeal to all austere medicine enthusiasts, novices to veterans, of diverse medical backgrounds. Participate in the pre-conference activities that include courses in Tactical Combat Causality Care and the internationally recognized Diploma in Mountain Medicine (DiMM). The town of Telluride, nestled in a box canyon surrounded by 13,000 foot peaks, is filled with colorful legends, over a century of rich history, and Rocky Mountain spirit. The Telluride National Historic District (just six blocks wide and twelve blocks long) is a window into the town’s illustrious past and a showcase of spirited individualism and community pride. Telluride, Colorado is truly a unique place. This town offers an endless array of summer and winter activities, festivals, seasonal special events, and Rocky Mountain adventure. An active, hands-on survival training program that exposes attendees to real skills, real experience and an expert opinion in a rapid-fire approach. Brian Horner, known for his international programs on emergency survival and remote medicine, provides an exciting session with lots of student participation. Students will practice creating clothing and shelter from rubbish, learn and practice survival knots and build micro survival kits and even eat survival food. Come prepared with a pocket knife and a mind open to improvisation! Come to this workshop to see the latest and greatest in small, lightweight, portable ultrasound machines. This workshop will teach you the basics of ultrasound, yet go beyond the FAST exam! Learn how to identify a pneumothorax, shoulder dislocations, long bone fractures, nerve blocks, pulmonary edema, high intracranial pressure, fluid responsiveness, and more! Think like MacGyver. This will be a hands-on workshop demonstrating how to repurpose common supplies to treat emergencies in remote areas and resource-poor environments. Skills taught will include improvising airway equipment and chest tubes, performing emergent amputations using a Gigli saw, making oral rehydration solutions, and how to extract additional epinephrine from an Epi-pen. Improvised models will be used to practice skills; participants will then be able to recreate these basic models to teach others in resource-limited settings. In the mountains, supplies are not found in the same abundance as the clinic or hospital. For this reason, wilderness medical professional needs to carry a medical kit that is appropriately complete while balancing weight, size, and cost. This interactive workshop will cover principles of the important wilderness and mountain medicine skill of medical kit-building. Some examples of kits will be explored to emphasize conceptual elements of superior kits. 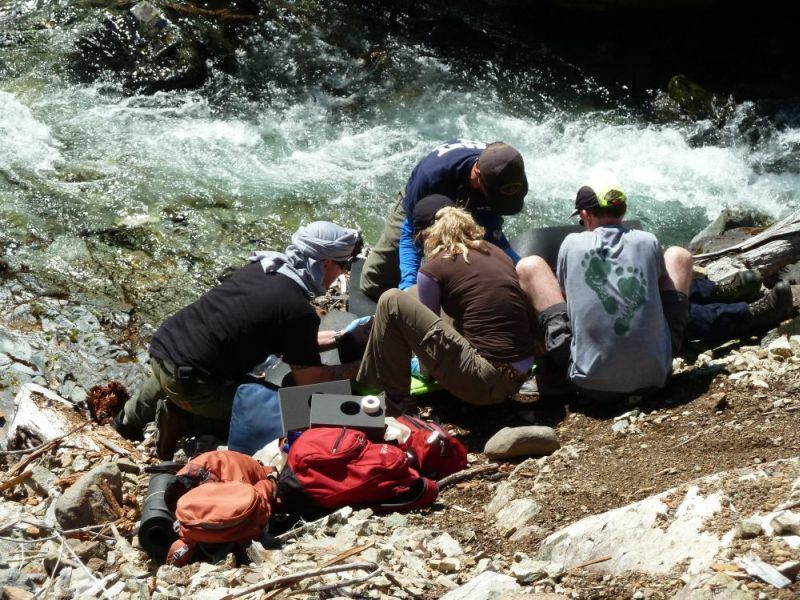 Topics will include packing methods, approaches to supply selection, technology, and wilderness pharmacology. Fidel Elsensohn: Management of Resources in prolonged rescue operations: Resource management is a key task in all Mountain Rescue operation. Lacking medical equipment may lead to delayed and/ or insufficient treatment. It is of great importance that medical care providers show situational awareness on medical and technical requirements to constantly provide best care to the patient. the workshop will cover a large variety of challenges in Mountain Rescue, trying to offer solutions: Lectures will cover: Resource management in terrestrial rescue,Prolonged CPR in MR, RM in Avalanche accidents, Resource Management in Cave accidents, Specific challenges of resource management in pain and shock treatment during prolonged MR operations, When and whom to ventilate: RM in insufficient breathing in MR. We expect an interactive audience bringing in its own experience. Ultrasound is an emerging technology that is used in the acute care setting to assist in diagnosis of cardiac, chest, and abdominal pathology. Portable ultrasound machines are currently available, some of which are very compact. These ultrasound machines are being employed in the pre-hospital setting, rural or remote medical facilities, as well as in emergency departments. Ultrasound is an ideal diagnostic modality which can be used in a variety of austere and wilderness environments. This half day workshop will include didactic lectures and hands on training in basic chest, cardiac, and abdominal ultrasound. out how to continuously assess a patient’s core body temperature during an evacuation. All of these techniques and more will be demonstrated while also learning how to incorporate these devices into realistic rescue scenarios. Devices in this workshop will include the VividTrac VL device, the Oxylator, carbon fiber oxygen tanks, Nonin CO2 detector, the SpotOn thermometer, and more! Rigging for Rescue offers a technical ropework seminar that is renowned for its focus on applying the critical thinking and systems analysis skills required to competently incorporate ropework and rigging into effective rescue systems. The emphasis is on encouraging participants to become knowledgeable in the principles and concepts of rigging techniques rather than just having them learn by rote. Rigging for Rescue seminars have been, and continue to be, instrumental in providing clear direction and leadership on ropework to the rescue community. This dynamic training session is instructed by two old friends and colleagues, Todd Miner and Brian Horner. 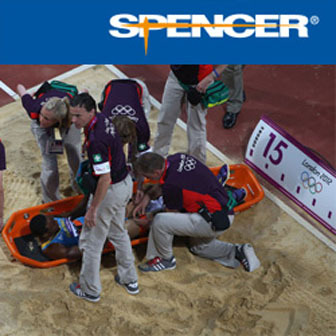 Practical considerations are given for creating stable packaging of patients for longer term care and difficult movement scenarios. Improvised stability techniques using sleeping pads, clothing and even spoons coffee cups are presented. This workshop also address tourniquets usage, innovative hypothermia packaging and creating hasty field litters for patient transport. This program also references the draft guidelines for the State of Alaska in dealing with Delayed/Prolonged Transport of patients. Uncontrolled hemorrhage from major trauma remains a significant challenge for providers at all levels, both in the hospital and in the austere setting. It is the second leading cause of traumatic death after head trauma. When evacuation times are prolonged and resources constrained such as in rural, combat, and wilderness medicine scenarios, early and effective hemorrhage control becomes even more critical. Participants will gain an understanding and hands-on use of currently recommended hemorrhage control skills from initial direct pressure, wound packing, pressure dressings, hemostatic dressing, improvised and commercial extremity tourniquets, and the new junctional and abdominal tourniquets.